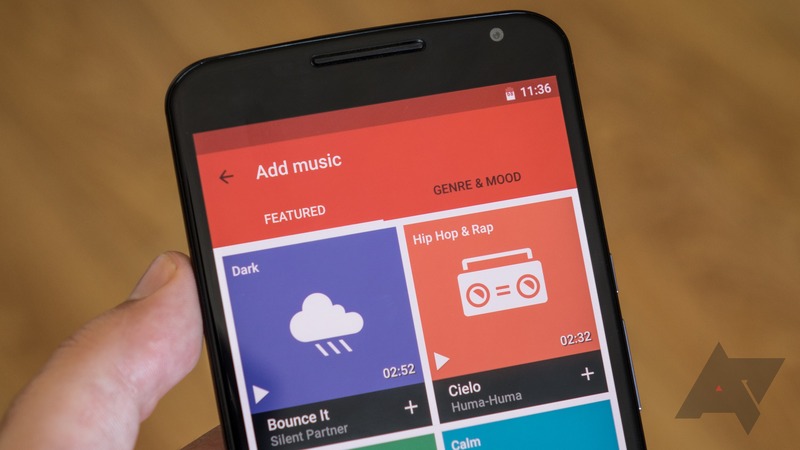 As early as last year, we began seeing quite a few references in teardowns pointing to the ability to overlay music onto videos uploaded in the YouTube app for Android, along with other features like video filters. With the wide rollout of the new YouTube UI, these advanced editing options are finally available to more people, so let's take a look at them. 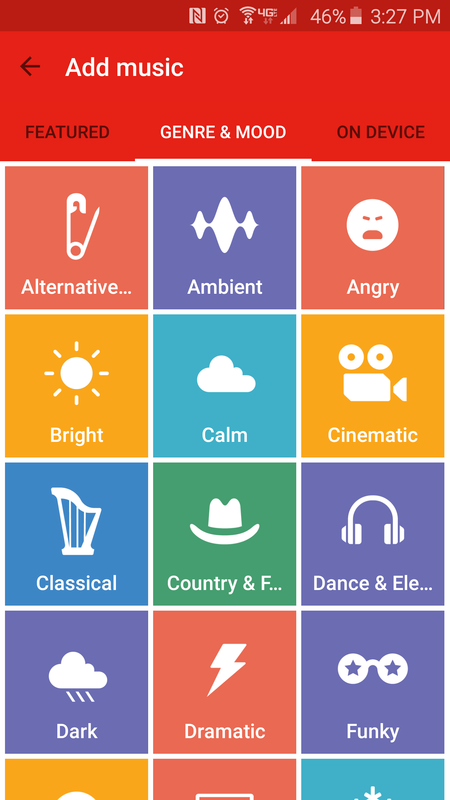 'Featured,' 'Genre & Mood,' and 'On Device' are the categories you can choose when adding music. The featured section seems to be a catered list of the best generic instrumental tracks that Google has to offer. Many feel like they belong in a commercial about car insurance, or a pill that has ten different side effects, but that might be exactly what you want when watching the video of your child’s first bike ride. 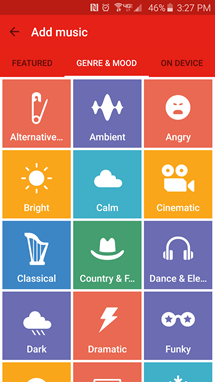 'Genre & Mood' is a list of, well, genres and moods. 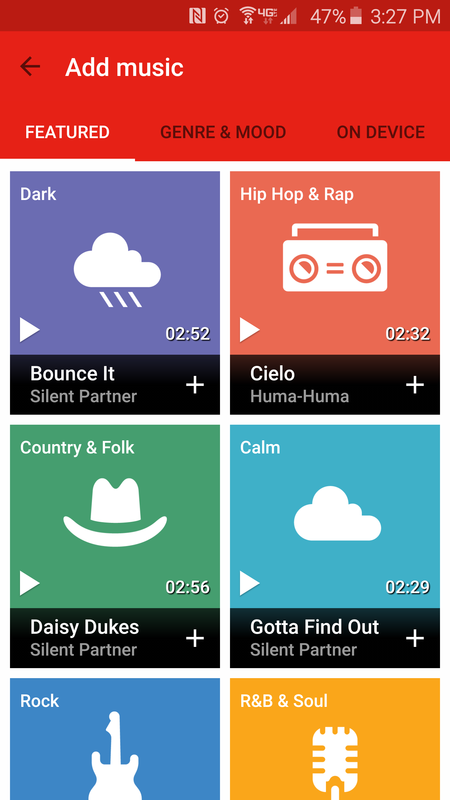 This list is very similar to the one found in Google Play Music. 'On Device' is a single list of every song found on your device. Unfortunately, there is no way to search this list, which proves to be difficult if you carry around a sizeable library in your pocket. 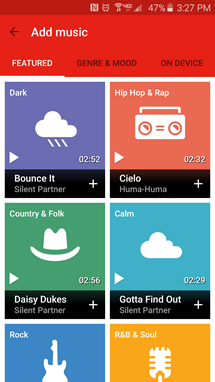 Once inserted, your track will appear on your video, allowing you to change the starting position and the crossfade. Oddly, if your video is longer than the selected song, you are unable to manually choose a starting location, and you will be left with a music-less ending. 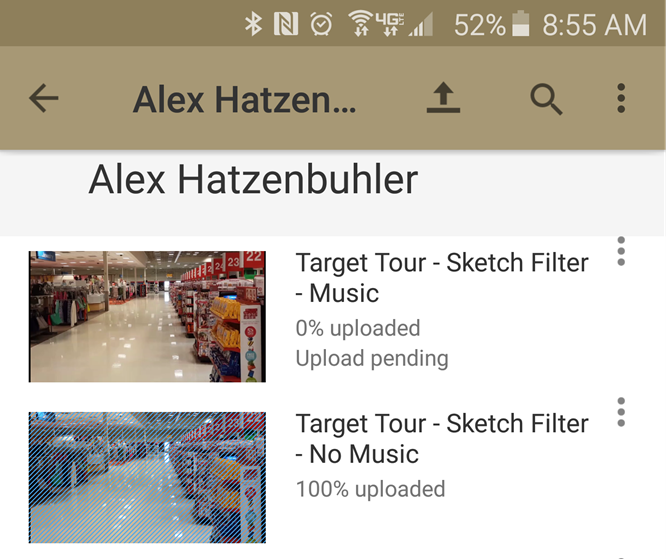 Moving on, advanced editing now allows you to add filters to [newly uploaded] videos. We first saw this feature in a YouTube APK Teardown back in January. Filters that are available today include Normal, Silver Screen, 8mm, Docu, Sepia, Glamour, and Sketch. The Auto-Awesome icon shows you the filter selection screen. The “Punk” filter that was seen in the APK Teardown is missing from the lineup this time around, and I’m a bit surprised to not see a simple vignette filter. The selected filter is instantly applied to your video for you to preview before uploading. While uploading a few of my newly music-enhanced creations, I encountered an issue where the progress meter would get stuck in an “Upload pending” state. I quickly found other people have had the same issue over the last couple of weeks. I attempted to fix it by resetting my phone, as well as YouTube, but the issue persisted. Here are the videos I was able to upload. As you are probably able to guess, these videos don’t have any music, but they do have filters. 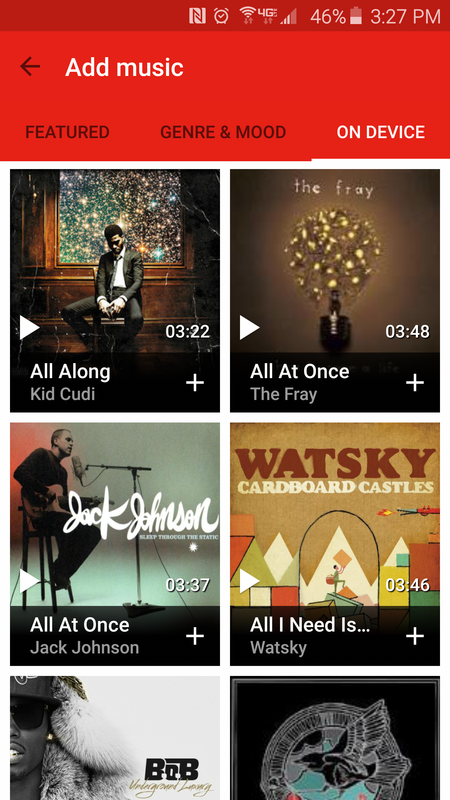 While adding music and applying filters seem like simple options, they have been notably missing in previous versions of YouTube on Android. Videos of your new puppy can now be set to some groovy tunes (if the upload works) and look like they were taken on an 8mm camera, if that’s your style.